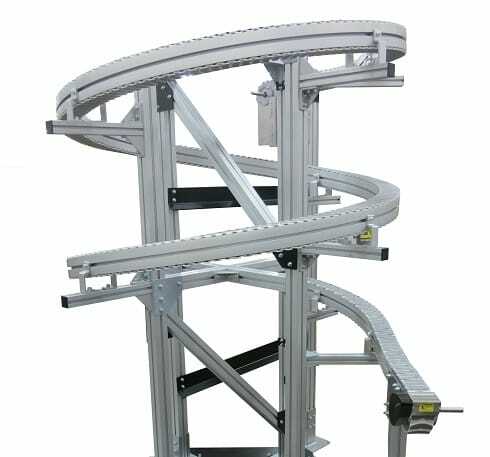 Dorner’s 2200 Series SmartFlex line capabilities, such as the SmartFlex Twist, Alpine, and Helical are designed to give customers added flexibility. 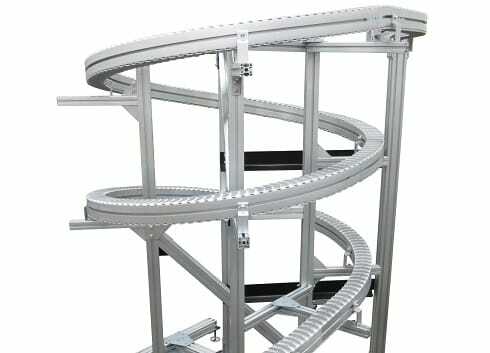 The SmartFlex Helix allows for elevation changes as part of the conveyor system, raising or lowering products in a small foot print. The foot print for the elevation section can be as small a 10’ x 10’ which is ideal for congested areas where long inclines or alpines are not practical. 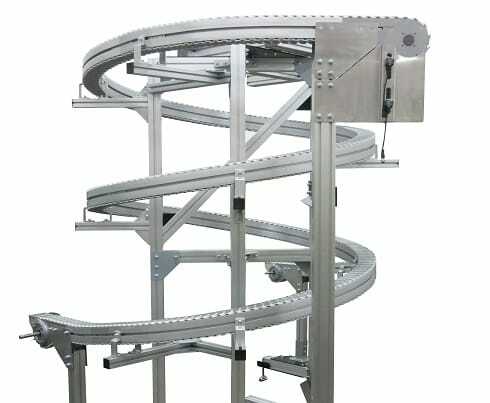 The Helix conveyor uses a proprietary flexible chain that is designed to run on the standard SmartFlex conveyor and does not require lubrication. This means fewer conveyors, fewer spare parts and a cleaner facility. Inlet and Outlet in any orientation. Outlet of the helix may be any angle from the inlet. Learn more about Dorner’s SmartFlex Capabilities.